MAN UP! : Is Norwegian Mass Murderer Anders Breivik a Christian? Is Norwegian Mass Murderer Anders Breivik a Christian? 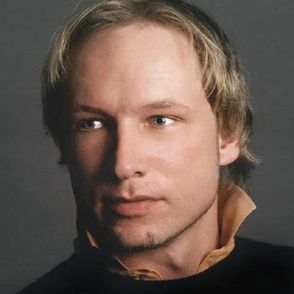 I am not a psychologist nor do I have any special insights into what makes Norwegian mass murderer Anders Breivik tick. However, I do have common sense and I am a Christian. For me the answer to the headline question is simple. If he was ever a Christian, he stopped being one the moment he began contemplating the murders of his fellow citizens. At that moment he not only violated the law of man, he violated the supreme law of God. As Exodus 20:2-17 and Deuteronomy 5:6–21 states: "You shall not murder." It may be a good idea for all citizens of Norway to begin reading the Bible in earnest. Going back to their Christian roots will help Norway heal and help prevent future events such as this. 3.93 Reprogenetics and the future. Reprogenetics is a term referring to the merging of reproductive and genetic technologies expected to happen in the near future as techniques like germinal choice technology become more available and more powerful. The term was coined by Lee M. Silver, a professor of molecular biology at Princeton University, in his 1997 book Remaking Eden. Reprogenetics is a hybrid form of eugenics. Eugenics was the ideology embraced by Margaret Sanger, the founder of Planned Parenthood, H.G. Wells, American author and put into practical application by Adolf Hitler, the creator of the "Final Solution". According to Breivik, "Creating a World Bank of Genotypes would be an anti-racist solidarity project which would contribute to prevent conflict and war." So, in Breivik's view this is a kinder and gentler form of racial purity. Finally, Breivik embraces what he, and others, call “National Darwinism.” According to Klinghoffer, "This dark vision is not his invention. It’s a spin-off of what he aptly calls 'National Darwinism,' which got its start in the writing of Charles Darwin. While a gentle soul in person and wishing no harm to anyone, Darwin envisioned a picture of the world that equates “extermination” (a favorite word of Darwin’s) with biological advancement. I’ve written elsewhere about the historical, moral consequences of Darwinism, quite apart from any explanatory value of natural selection in biology." So, my simple common sense analysis of Anders Breivik is that if he ever was lead by the teaching of Jesus Christ he was embraced by the devil and became evil incarnate. He fell from grace and will be punished by man but more importantly punished by God for time immemorial.